The NFL has announced that it will be releasing its 2013 schedule this Thursday, giving fans a sneak peak at the upcoming football season. 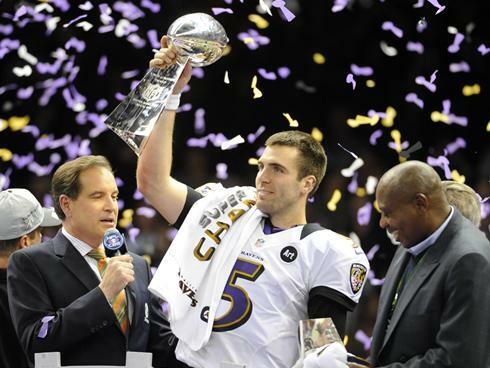 The Super Bowl champion Baltimore Ravens will be the rare team to open the season on the road, as a scheduling conflict with the neighboring Baltimore Orioles would have made hosting the season opener a logistical nightmare. The Ravens could potentially open the season in Denver, where Baltimore dramatically defeated the Broncos in the playoffs a season ago. Other big matchups to look forward to include the 49ers opening the season against the Falcons in a battle of two of the NFC’s elite teams, and Peyton Manning’s return to Indianapolis as a member of the Broncos. Several of this year’s free agents will be returning home to face their former teams, including Denver’s Wes Welker, Miami’s Mike Wallace, Houston’s Ed Reed and Minnesota’s Greg Jennings. To read the full story on ESPN.com, follow the link here. This entry was posted in Uncategorized and tagged New York Super Bowl, Super Bowl 2014, super bowl tickets by promc58blog. Bookmark the permalink.